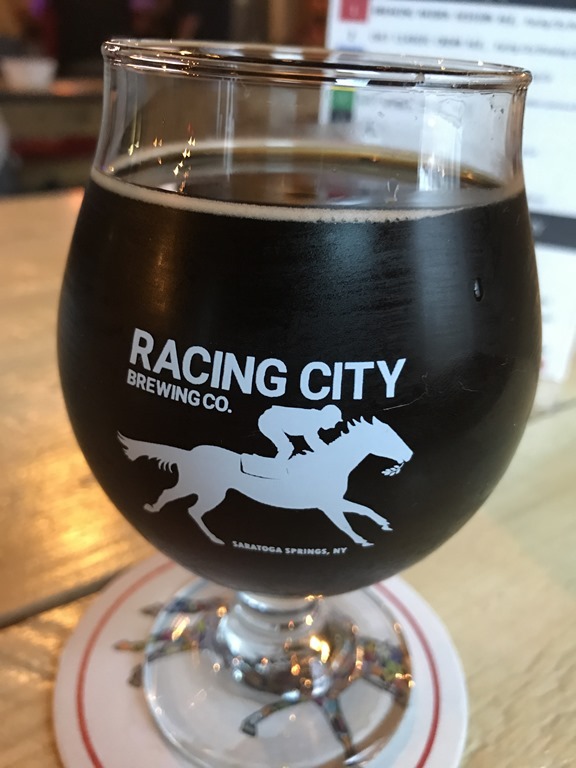 It is no secret that I am a fan of the local beer scene…there are over 393 breweries in New York, the most since 1876 (Dad remembers that well, right?) You may recall that last January the Olde Saratoga Brewing Company went under. 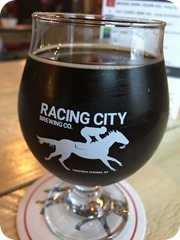 Well, a new brewery opened up just a minute down the street from the old Olde Saratoga Brewing Company called Racing City Brewing Company. I went last night and enjoyed the beer. The owners are from New Jersey, quite friendly, and the place is very nicely decorated. It is a bit different than some other breweries in that it has a winery attached as well…perfect if you want a beer and the wifey wants a wine.